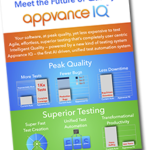 Scripted test automation today is difficult, time-consuming and error-prone. 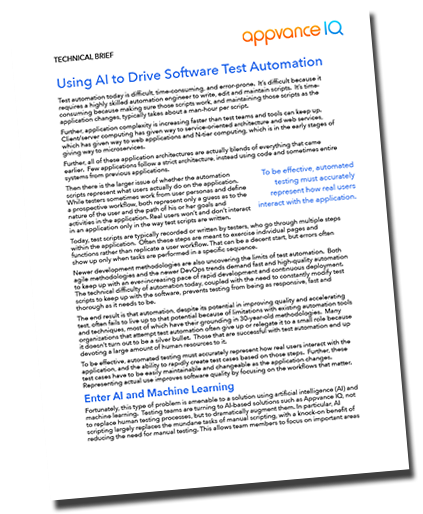 It’s difficult because it requires a highly-skilled automation engineer to write, edit and maintain scripts. It’s time-consuming because making sure those scripts work, and maintaining those scripts as the application changes, takes on average across the globe about a man-hour per script. Fortunately, this type of problem is amenable to a solution using artificial intelligence (AI) and machine learning. 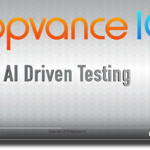 AI-driven test generation is a breakthrough in productivity, and applicable to many application types such as websites, web apps, back-end services, mobile apps and IoT devices, as well as various test types such as functional, performance and security.